His running buddies call him "Doctor Pickle Juice." 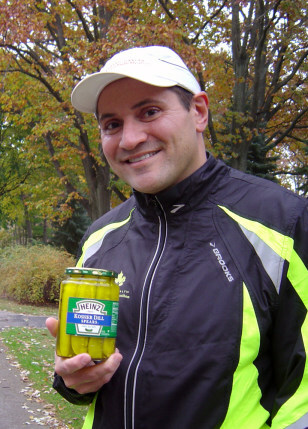 Rick Ganzi, a 47-year-old anesthesiologist from Holland, Mich., has long been singing the praises of pickle juice after discovering that the briny beverage worked wonders for his marathon-induced muscle cramps. Dr. Rick Ganzi, aka Doctor Pickle Juice, says drinking the salty beverage improved his marathon time. Ganzi got hooked on running during his medical residency to shed some unwanted pounds. But when trying to improve his marathon time, he found his calves knotting up around mile 20. Then a coworker, who was also a competitive body builder, tipped him off about using pickle juice to prevent cramps before an event. "So I bought a medium-sized jar of dill pickles before my next marathon. Three days before the race, I started eating a couple of pickles a day. The day before, I stopped eating the pickles and started sipping the juice. On race day, I finished all of the juice," said Ganzi. Thanks to his pickle prescription, he had a cramp-free run and shaved 13 minutes off his marathon PR (personal record). From that race on, "Doctor Pickle Juice" was born. Ganzi even convinced his local Heinz plant to donate the salty solution to the Grand Rapids Marathon along with pickles at the finish line. “It’s developing a bit of a cult following,” he said. With 70 marathons under his belt, Ganzi will again put his cucumber cure to the test as one of 43,000 competitors in the ING New York City Marathon, on Sunday, Nov. 7. Read on for more about pickle juice and seven other unconventional ways that runners hope to boost their energy, improve their performance or speed their post-race recovery. 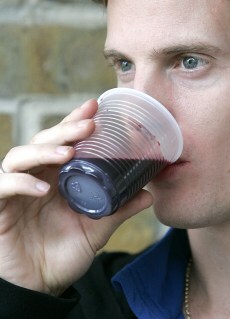 British middle distance runner Colin McCourt drinks a cup of beetroot juice. English ultra-marathoner Chris Carver credits nitrate-rich beetroot juice with his first place showing in a 24-hour race in Scotland this September, according to news reports. For a month before the grueling event, he added a daily glass of the purple juice to his usual training program. Carver won the daylong competition and ran 148 miles compared with 140 miles the year before. Two small British studies have found that cyclists who drank about a pint of beetroot juice before a workout rode 20 percent longer than those given a placebo. "Beetroot juice is purported to increase stamina," said Suzanne Girard Eberle, a sports dietitian in Portland. It may do this by increasing the nitric acid in the body, which reduces the energy requirements of muscles, so you can possibly exercise with less oxygen, she explained. Before downing the juice regularly, be aware that it might turn your urine red. And it might be hard to find. Leslie Bonci, director of sports nutrition at the University of Pittsburgh Medical Center calls the juice “interesting,” yet adds that "it seems to be a European phenomenon. There's still an issue of availability here." Story: Hey marathoners: Avoid hitting the wall! 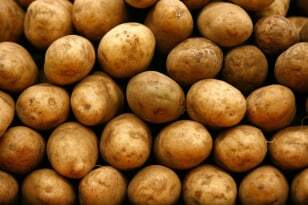 Potatoes are one of the 'secret food weapons' for runners. Lauren Antonucci, a New York City-based sports dietitian, calls baked potatoes and salted rice balls her "secret food weapons." These salty starches -- combined with drinking water to stay hydrated -- are a training tip she shares with endurance athletes. She suggests baking and salting small new potatoes or fingerlings, and wrapping the spuds in foil so they're easy to carry and eat every half hour during a race. For the rice balls, she recommends cooking either Thai sticky rice or basmati with lots of water until it's mushy, adding salt or soy sauce and forming small balls. "The baked potato and salted rice balls are easy to get down and easily absorbed, and you need carbs and salty things when you're exercising for a long time," Antonucci explained. And she should know; her impressive fitness resume includes finishing 12 marathons and 3 Ironman Triathlons. "It's a little bit weird," admitted Antonucci, "but they totally work." 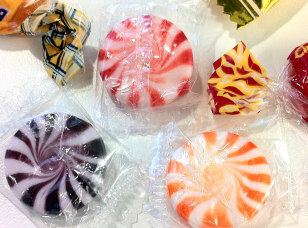 Hard candy can provide sugar energy to get you through a marathon. When Ellen Richards of Millis, Mass., ran her third New York City Marathon, she was fading badly at the 18-mile mark. Then some kids along the course handed her fruit-flavored candy. The candy "really did the trick for me," confessed Richards. "It gave me something to keep in my mouth along with a slow intake of pure sugar for energy. I know it got me through the marathon." And while sweets don't win points for their nutritional value, Felicia Stoler, a sports nutritionist and exercise physiologist in New Jersey, sees nothing wrong with them in this instance. "They're just sugar, and they can get your saliva going. As long as you don't choke on it while you're running, that's fine." Stoler thinks jelly beans might be easier to manage than hard candies, though. "They even have sports jelly beans that have some sodium in addition to the sugar," she pointed out. If you're after quick-acting forms of glucose, you can do it on the cheap by substituting sugar cubes, honey sticks or packets of the sticky sweetener for pricier energy gels and blocks, suggested Bonci, who wrote "Sports Nutrition for Coaches." You'd have to eat plenty of sour cherries to get the benefits from one cup of juice. In a few small studies, people who consumed the sour fruit juice before exercising had less pain and inflammation afterward and recovered their muscle function sooner than those given a placebo. Scientists speculate that antioxidant-rich plant chemicals in cherries known as anthocyanins may help suppress the enzymes that cause inflammation in the body. That's good news for marathoners because distance running is a breakdown activity that leads to lots of wear and tear on muscles. 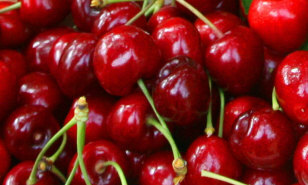 To get the beneficial compounds found in one cup of juice, you'd have to eat plenty of sour cherries. As far at taste goes, "there's definitely a little pucker to it, but it's also refreshing," Bonci explained. You can find the bottled juice in grocery stores and some retailers stock the concentrate. Story: Treadmill vs. elliptical -- which is right for you? Coconut water helps rehydrate after sweating. 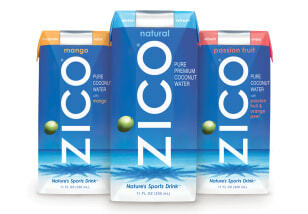 Billed as "nature's sports drink," coconut water has become the trendy après workout quaff of celebrities. The clear liquid from inside a green, unripe coconut has been gaining fame as a good -- but expensive -- way to rehydrate after sweating. But what appeals to runners like Amy Fingerhut is the water's low sugar content and healthier image. She finds traditional sports drinks and energy gels too sweet and highly processed. And as the commercial real estate broker trained this summer for her second New York City Marathon in the brutal heat and humidity of Atlanta, she experimented with coconut water after her husband suggested it. "At first, I was forcing it into me and scrunching my eyes as I drank," recalled Fingerhut. But then she'd have the water before and after her long runs and "could literally feel the energy going back into my body." Choclate milk is a 'new' sports drink for grown-ups. This kid-friendly beverage has been described as a "new" sports drink for grown-ups. It's popular with runners as a post-workout recovery drink and provides protein to repair muscle damage, carbs to replenish depleted fuel stores and fluids to replace sweat losses. 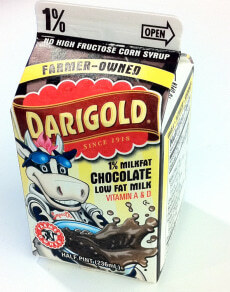 In two small studies, one of which was sponsored by the dairy industry, chocolate milk was as good if not better than a sports drink for athletes recovering from and rehydrating after intense training. "It's a liquid food with a perfect ratio of carbohydrates to protein that commercial drinks are trying to emulate," explained Eberle, author of "Endurance Sports Nutrition." In addition, the milk has sodium, potassium and magnesium, which runner's need after strenuous activity, as well as calcium and vitamin D for hard-working muscles and bones. Compared to sports drinks, juice from pickles is loaded with sodium and also offers potassium and magnesium. Pickle juice has been a favorite remedy of sports medicine professionals for years. The dill-flavored fluid first won over NFL athletic trainers who discovered its ability to stave off muscle cramps after giving this mixture of salt, water and vinegar to football players during the sweltering days of training camp. A few studies have confirmed the drink's cramp-preventive potential in athletes. It's been suggested for salty sweaters, people whose perspiration stings their eyes, stains their hats and makes their skin feel gritty. "I think there's some good science behind it," Eberle said. Pickle juice "gives a high dose of sodium, can be quick acting against cramps and replaces salt and fluid lost in sweat." Compared to sports drinks, the beverage is loaded with sodium and also offers potassium and magnesium. As for why pickle juice works, some researchers think the acidity of the vinegar might help stifle a cramp, while others credit the magnesium. Cari Nierenberg is freelance health, wellness and lifestyle writer in Brookline, Mass. Although she's crossed the finish line at the Boston Marathon and been a spectator in New York, these days she prefers to cycle and spin.